We are Meghan & Shea and we are the duo behind rosemary & rust. Rosemary & Rust was born out of a love of design & connecting with others. We have a passion for creating with our hands & hearts. We believe in community & creativity. We are wedding floral & event designers based in Southern York County. event decor & details, and customizing your special day. We'd love to work with you to create the wedding day you've always imagined. we will help make all your wedding dreams come true! Meg has been doing floral design for over 20 years. 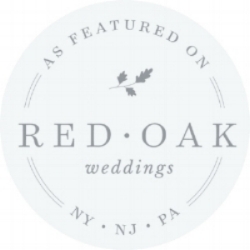 Her experience includes retail floral designer, flower shop manager & design specialist where she was able to travel the east coast to consult for new store floral departments, and has been focused on wedding and event design solely since 2001. Her other passions include her faith, gardening, fitness instruction, and her family of 3 boys, husband: Brian, and her yellow lab: Shrewsbury. Oh & her crazy chickens, too! Shea has always had an eye for design. Her diy wedding in 2012 sparked this love for planning & creating like never before. Shea is a maker at heart and loves bringing ideas to life. She loves Jesus & capturing and documenting life. Shea loves going on adventures with her sweet husband: Adam- to find the best coffee shops! She has "irish twins" Abel & June and a black lab named Blue.